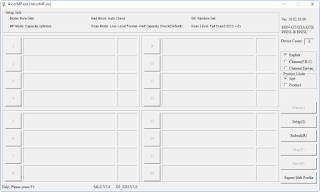 Download AlcorMP v16.02.19 software and repair corrupted Alcor chip controller .Alcor MP v16 can fix chip model AU6989SN-GT/GTA/GTB 89SNL-B 89SNL . 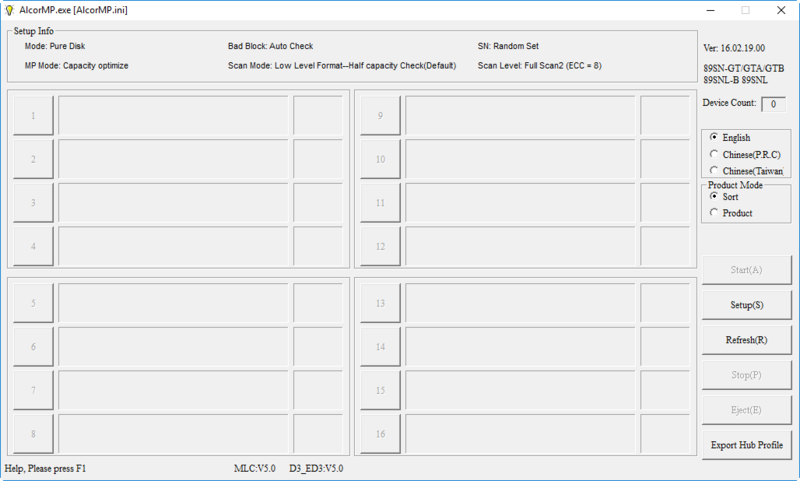 AlcorMP V16.02.19 is an alcor usb repair tool that can fix corrupted ALcor Chip controller.Alcor mp v16 can remove write protected USB flash drive error ,Fix unrecognized alcor flash disk ,correct the capacity of 0MB or 8MB or 15MB USB stick and many format errors . Please don't use Alcor MP v16 with unsupported chip controller because every chip controller has a different firmware update tool . To use AlcorMP v16 firmware update utility , you must be sure that your USB flash disk chip controller is one of the supported chip models .To determine your flash drive information , please Download ChipGenius software from here "ChipGenius " . How to use AlcorMP V16.02.19 Software ? Download ALCOR_MP_v16.rar from mediafire download links above . Insert corrupted Alcor AU6989 USB pen drive to your Computer . 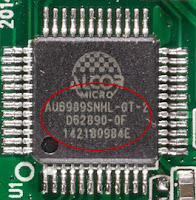 The flash disk information will appear on the interface of the Alcor MP v16 recovery tool if the chip controller is one of the supported models . Warning !!! : All data inside the flash disk will be lost and you can't recover it again ,please Don't interrupt Firmware update process until completed . To start repairing Alcor chip controller click "Start " . Congratulation your USB flash disk firmware is updated successfully . Thank you. It helped me. Keep up the good work.